Dr Paul Dhinakaran, a Christian religious leader, delivers spiritual discourses and teachings from the Bible and spreads the Word of God. 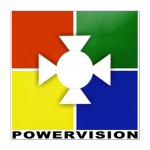 Powervision Tv is a Satellite TV Channel with its Studio Complex and play-out station at Tiruvalla, Kerala State. Powervision Channel is unique for Christian Devotional Variety Programs.